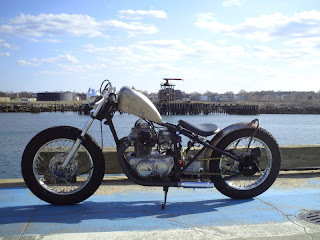 Nice light little CB360 Honda chopper found on the Chop Cult forums. LIGHT, SKINNY, FAST, GROUND CLEARANCE, HANDLES GOOD, stops good?, dual 18's, does dirt? 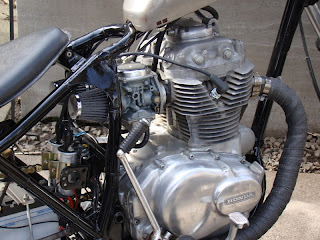 I've been wanting to build a CB350/360 attack chopper for years now... this one really gets me excited about it all over again.